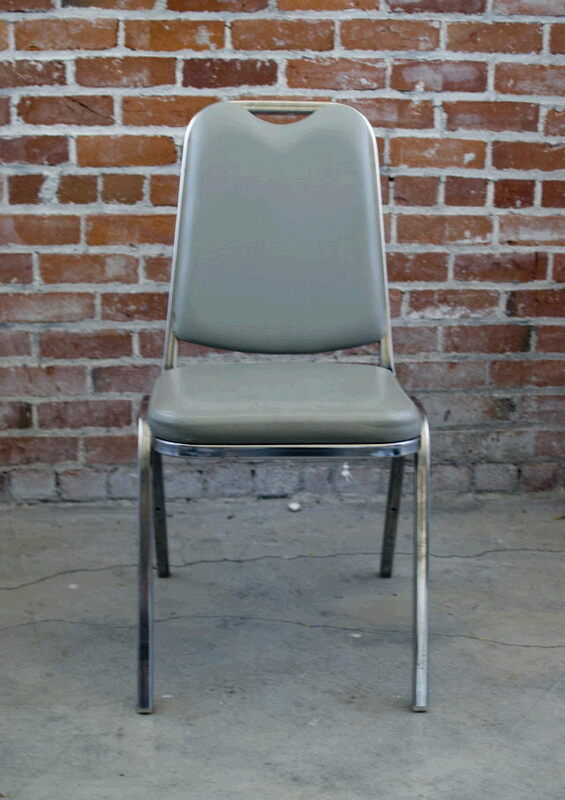 The most solid chair of all. Smoke grey vinyl padded seat and back plus chrome legs and frame. * Please call us for any questions on our chair padded grey vinyl stackable rentals in Ft. Wayne IN, Warsaw, Syracuse, Auburn, South Bend, Indianapolis IN.